Earn up to 488 reward points. 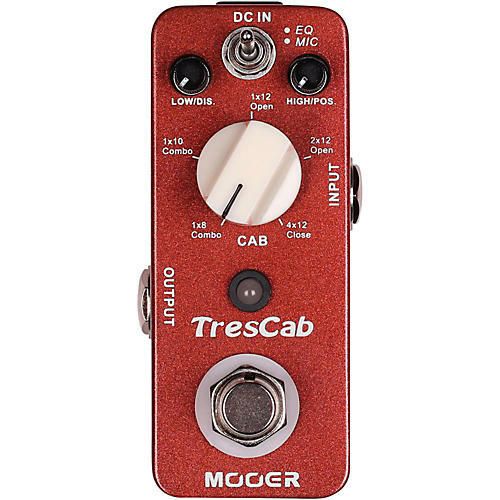 The Mooer TresCab delivers high-quality digital cabinet simulation in a micro pedal. The TresCab offers five different types of cabinets with EQ adjustment or microphone placement with the mode switch. For products under $200 experiencing the above failures, a Musician's Friend gift card will be issued for the full price of the product + tax.